A honeymooning couple in Paris (one channeling Napoleon in front of the location of his tomb). But we didn't love Paris. When I first started Travel the World a friend asked me to write a post about Paris; what to see, the best times to go, where to stay, etc. 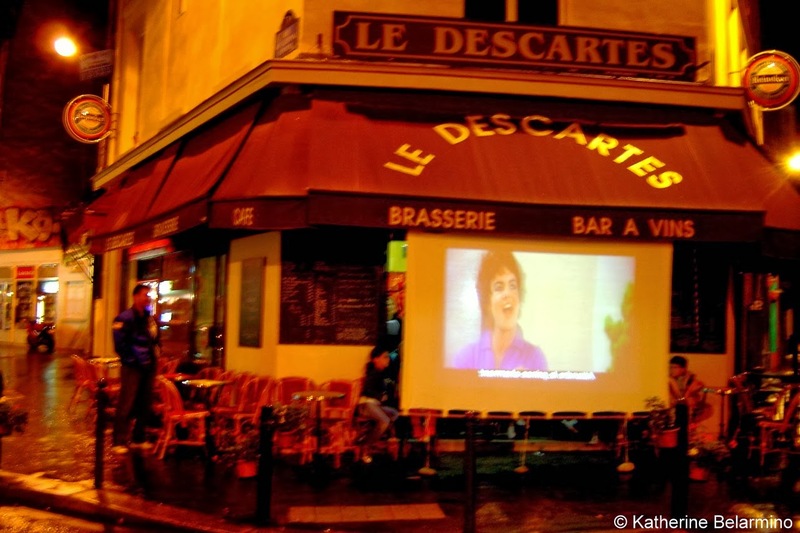 I said I would, but could never seem to bring myself to write about Paris. 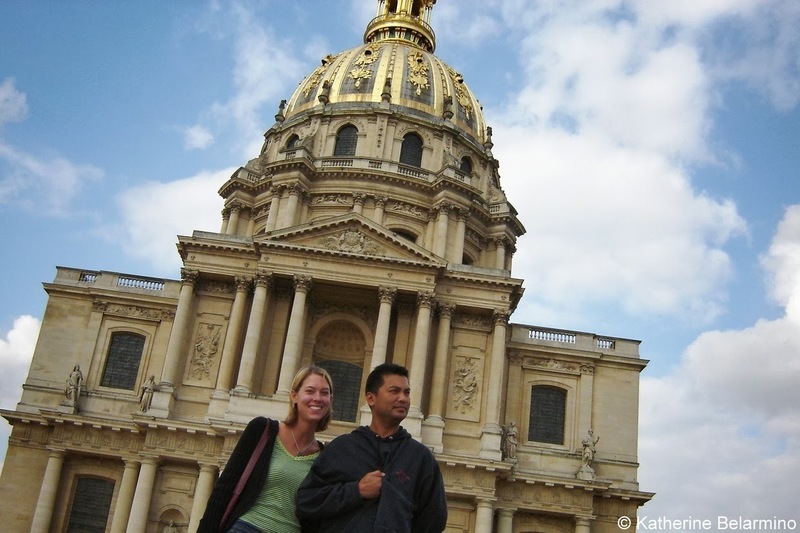 We visited Paris long ago, at the tail end of our honeymoon when we visited London, explored southern England, and then took the chunnel to Paris. The sad truth is I did not love Paris. I know I’m not the only one that feels this way, but I also know I am in a small minority. I was recently talking to another friend about our mutual dislike of Paris. 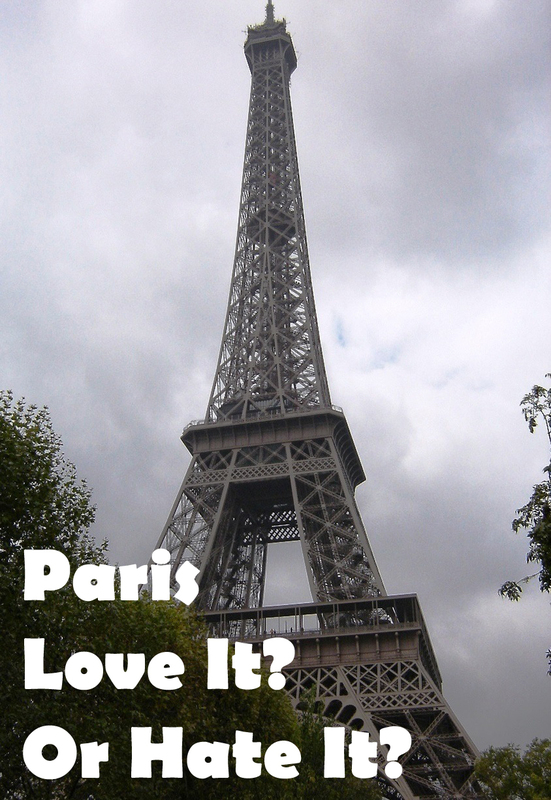 Our conversation started me thinking about that trip long ago, and while Paris admittedly underwhelmed me, there were some things that I did love. 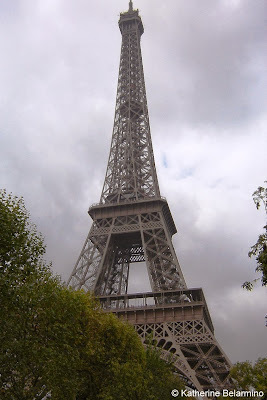 This post is not meant to be a complete guide to Paris, as it excludes some must-see places including the Louvre and Notre Dame, but rather a recollection of a few of the sites that did impress. I am not going to pretend to be too good for the Eiffel Tower. I am not immune to the Eiffel Tower’s iconic beauty. We visited during the day to enjoy the panoramic view and returned at night for the sparkling light show. I don’t think I need to convince anyone that no trip to Paris would be complete without visiting the Eiffel Tower. Just be sure to buy tickets ahead of time to avoid the lines. I was greatly looking forward to visiting Versailles, the original seat of France’s monarchy, and Versailles did not disappoint. 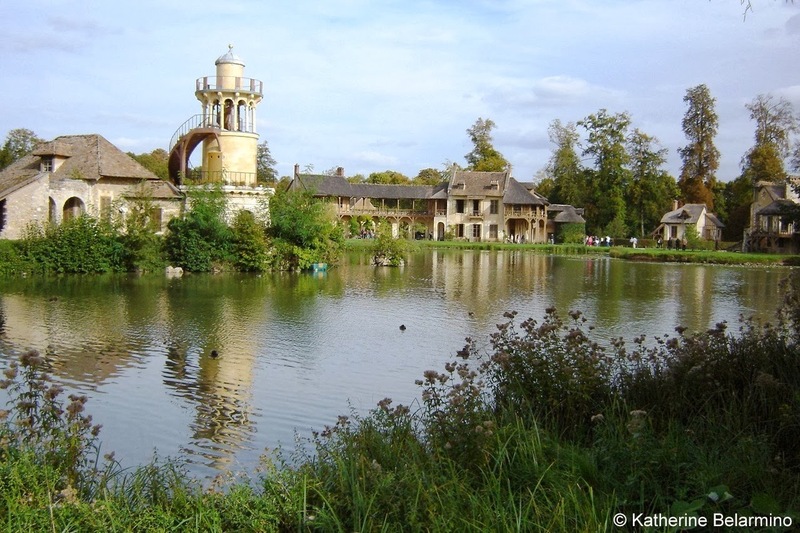 Versailles is just a short train ride from the center of Paris but feels a world away. If you love ornate rooms and fabulous furnishings, touring the state apartments and bedchambers is a must. One of my favorite rooms was the Hall of Mirrors. Not only is it a beautifully expansive room with painted ceilings, gold statues holding lamps, hanging chandeliers, and of course a wall of mirrors, it also provides one of the best views of the endless grounds outside. Exploring the grounds of Versailles can take hours alone. There are fanciful fountains everywhere you turn as well as the glistening grand canals which inspired the reflecting pool of the National Mall in Washington D.C. But my favorite part of the grounds of Versailles is the Chateaux de Trianon which includes the Queen’s Hamlet. Marie-Antoinette wished to flee the Court of Versailles and so had her hamlet built where she could go and be surrounded by pseudo-country life. The hamlet consisted of twelve houses, ten of which still remain. Marie-Antoinette's little slice of country. You probably don’t think military museum when you think Paris. That seems the exact opposite of love and light. In fact it was not on our itinerary at all. But while we were eating apple pie and clotted cream in England, we struck up a conversation with a couple of other travelers and the older gentleman highly recommended Paris’ Musee de l’Armee Invalides. He said military museums were his favorite thing to visit in any city and Paris’ was one of the best. The museum had some fascinating items including motorbikes that folded up into canisters that could be dropped from planes with parachutes. Even more intriguing was a full military demonstration we accidentally got to witness in the courtyard of the museum. 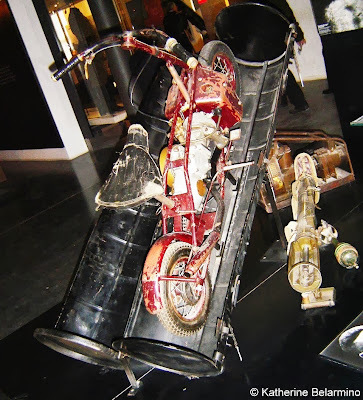 One of the interesting pieces of history at Musee de l'Armee. Just behind the Musee de l’Armee stands Napoleon’s Tomb. It was surprising to me to see such a large monument erected to a man who many view as one of the bad guys. 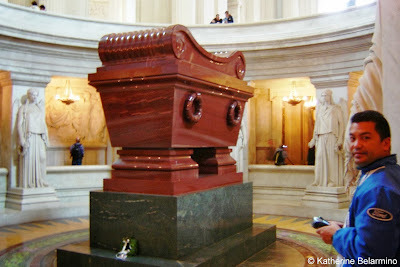 Napoleon is entombed in the large golden-domed Dome des Invalides. Napoleon’s remains are encased in an imposing tomb which looks at first glance like it is carved from shining wood but is actually made with blocks of red quartzite. I found it fascinating to see this grand, ornate building created solely to surround the tomb of one person who, while important in history, isn’t very popular, somewhat similar to what I experienced when visiting the Chairman Mao Memorial Hall. While we had excellent food in England, which had a reputation for not having the best cuisine, some of our meals in Paris fell flat. I was expecting to have some incredible French meals and yet I found myself longing for the plate of boeuf bourguignon I had in London, which far surpassed the one I had in Paris. No matter where we went, I just couldn’t seem to order the right thing. When I gave up on finding the perfect Parisian meal we stumbled upon a Moroccan restaurant in the Latin Quarter where we were staying. It was so good we ended up visiting twice, choosing to enjoy our last meal in Paris at this surprising find where Romeo also gained a newfound love of couscous. In fact, it was after our last dinner on our last night while strolling through the Latin Quarter back to our hotel to pack for our flight home that I started to feel an inkling of affection for Paris, especially when we walked by a café showing Grease on a large screen outside, while the Parisians inside, even children though it was late at night, were singing There are Worse Things I Could Do along with Stockard Channing at the top of their lungs. Unfortunately, this small glimpse was all I would get, as we were leaving the next morning. was the closest I came to feeling a love for Paris. While I am rarely a repeat traveler, I do feel like I might owe Paris a second chance. While we visited some great tourist sites, I never found that love for the city that so many before and after me have. I fear Paris paled in comparison to my adoration of all things England, a country which I wasn’t ready to leave. But perhaps Paris was just playing hard to get. There are many more places in France I would love to visit. So to Paris I will not say goodbye forever, but au revoir. What is your relationship with Paris, love or indifference? Do you think a second visit would change my feelings for Paris?